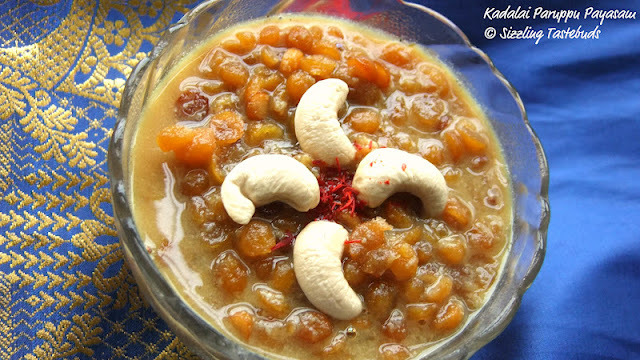 Payasam or Kheer is an integral part of Indian Cuisine, especially traditional sit down lunch and dinners at festivals and celebrations at home. We make today's dish - Kadalai Paruppu Payasam (or Channa Dal Kheer) with both sugar and jaggery. This time around though I made it with Jaggery. With the Tamil New year around the corner, this is a perfect way to bring in the festive season. 7) Serve warm with Paruppu Vadai for festive treat. I love kadala puruppu payasam. Looks perfect. Nice recipe..Love to have some. One of the traditional kher made at home! Love it! Never tried Payasam with Kadalai Parrupu..Looks great!! looks lovely , edible camphor intrigues me...i have eaten it only in the tirupati temple's prasad. Feel like finishing that bowl.. I love this especially wait for the Aradhini at Raghvendra Swamis matha to eat this. Love it. Its Totally Yumm Kalyani. Love that saree backdrop. 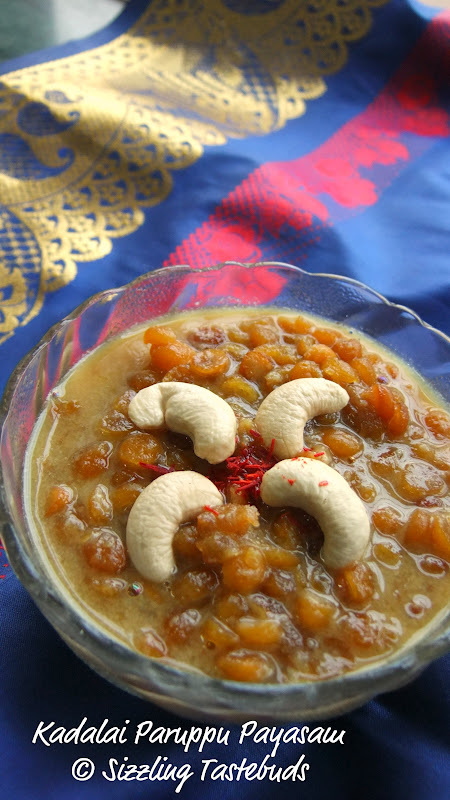 Channa dhal and jaggery always makes Perfect match and I love this combo very much. Payasam looks delicious and inviting dear. Thanks for linking to the event.